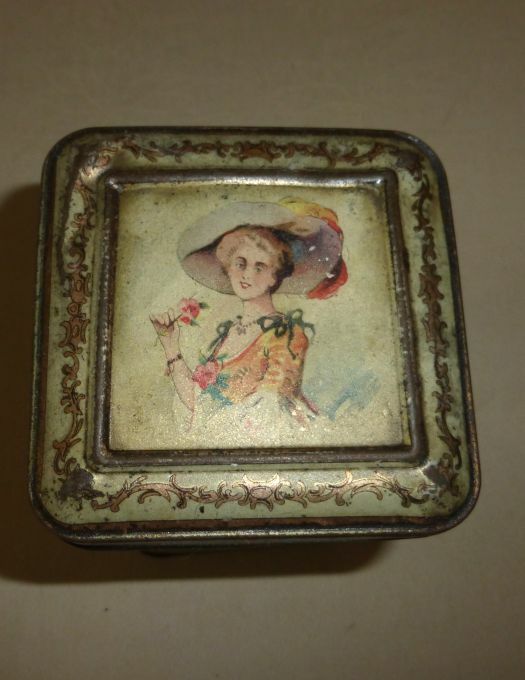 Large and old lithographied box. 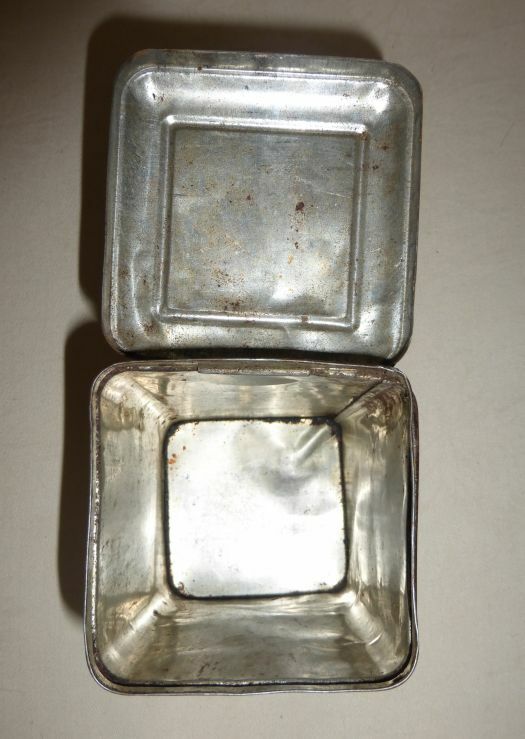 It is bumped, at several places, but the lithographied metal remains nice, with not many scratches and no rust. 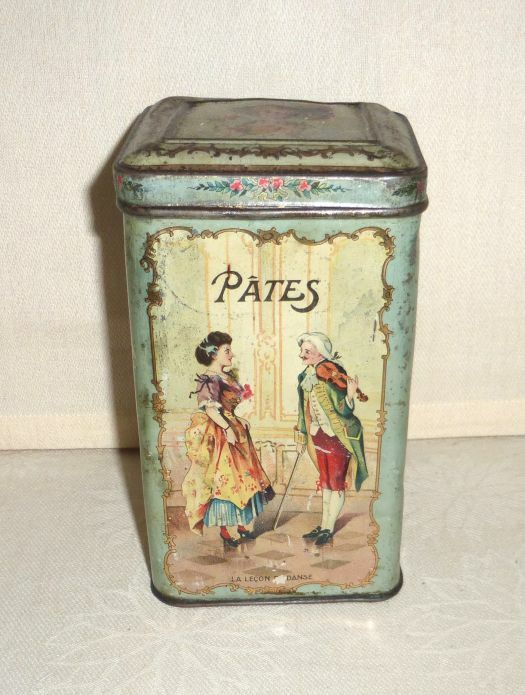 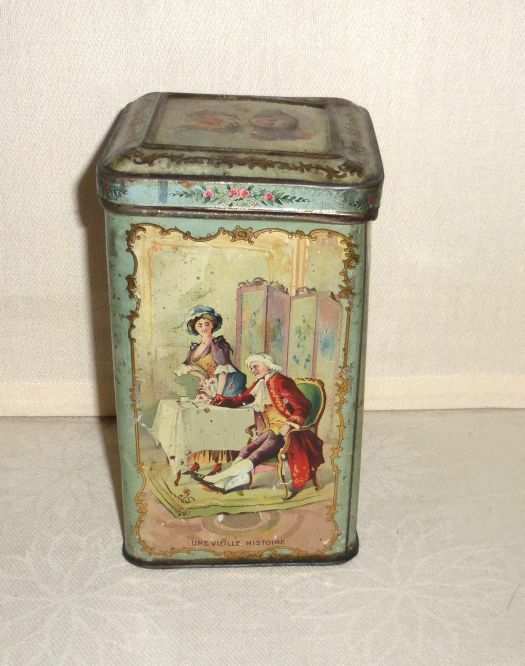 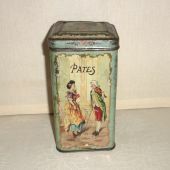 Charming box, very French style, for decoration.